Multi-stage operation that responds to changing conditions so the 16ACX adjusts to maximize energy savings—operating at lower speed most of the time, and ramping up during periods of increased cooling demand. This multi-stage operation also translates to enhanced humidity control. 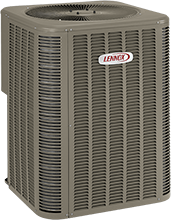 Humidity control when pair your air conditioner with a variable-speed furnace or air handler allowing you to continuously maintain a slow circulation of air throughout your home, decreasing the amount of humidity in your home for improved indoor air quality and comfort. Energy efficiencies of up to 17.00 SEER, delivering perfect comfort with a more affordable price.